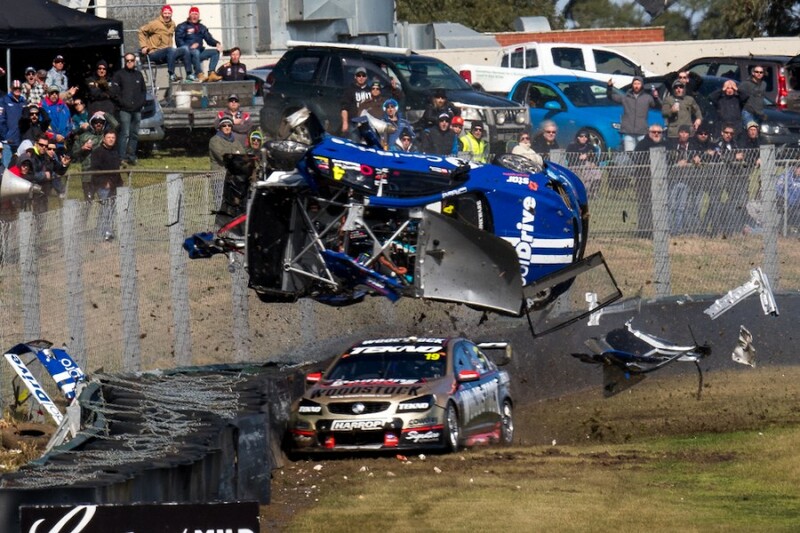 Knowing what it’s like to have a major crash at Sandown’s Turn 6, Will Davison was quick to lend his experience to Todd Hazelwood after it all went wrong on Saturday. Hazelwood escaped injury after contact from Davison’s co-driver Jonathon Webb sent his car sailing backwards into the tyre wall at more than 200km/h before flipping several times. 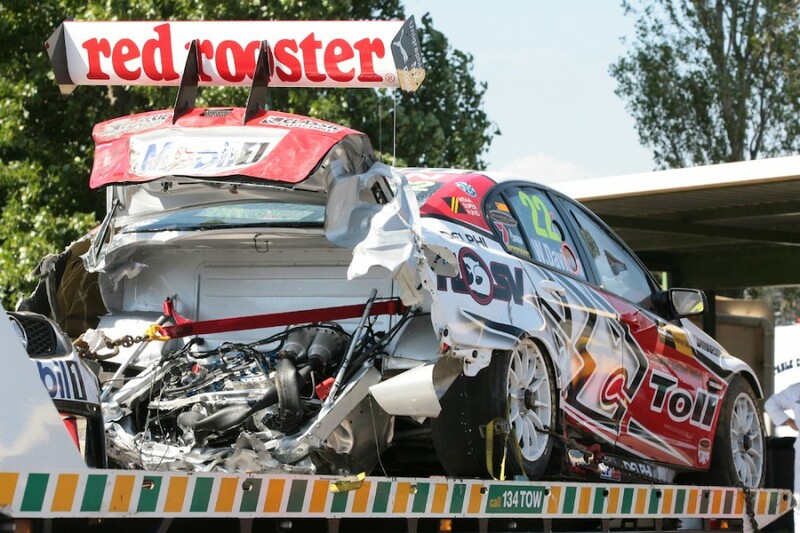 The crash happened seven years after a similar scenario led to Davison slamming backwards into the same fence aboard a Holden Racing Team Commodore. 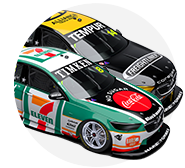 While his Tekno crew were repairing its car on Saturday following Webb’s error, Davison went to find Hazelwood to offer his experience. Hazelwood was straight back in action in the Dunlop Super2 Series that afternoon, but was a non-starter in the following day’s 500 due to the damage to the CoolDrive Commodore. “I went and spoke to Todd after the accident to help him if I could. 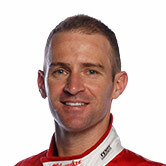 I know how daunting it is going backwards there at that speed,” Davison told Supercars.com. “He’s a young guy and you’re pretty fearless when you’re young, it’s all ahead of you. You haven’t experienced big hits and a lot of things. “I just let him know that on our journey things will happen and we all accept that. I told him not to worry or dwell on it. It wasn’t his doing. “When you have your first big one it really does dawn on you what can happen. We all feel so safe and so in control in our race cars, particularly if you haven’t had a big shunt. “It all feels so slow and calm in the car, you’re so in control. But in a second, bang, you go from that calm to being in a huge accident and it can freak you out if you think about it. “These things often happen when you least expect them as well. You can go years and years without it happening, but you can’t afford to think about it happening. “If it starts to haunt you, it’s over. You’ve just got to block it out and forget it. It’s the first time you’re aware that things like that can happen. 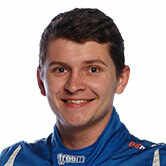 Hazelwood spoke on Sunday of his efforts to block out crash reminders during the Super2 races. He since revealed on Inside Supercars that he did not watch video of the crash until he was back in his hotel room. “I didn’t want to watch the crash on that weekend,” he said. “I hadn’t seen any photos or anything because I was pretty determined to block it out so I could get ready for the Super2 race. “But I was with my Super2 engineer, Wes McDougall, back at the hotel. He was scrawling through his social media and I saw a photo and said ‘is that the crash?’. “I saw the car falling to bits and it looked pretty spectacular so at that point I’d had enough time to wind myself down and take it in. “When I finally watched the incident I just thought ‘my God’. I’m pretty lucky that I was able to walk away and strap myself into another car half an hour later. Hazelwood also expressed thanks for all who had reached out to support him in the aftermath of the crash. "It's been truly overwhelming," he said. "I still haven't gotten through all my Facebook messages and I've spent a day going through my texts. It's been unreal." 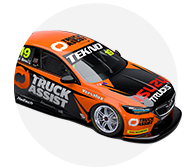 Webb was fined $15,000 for causing the crash; a penalty the reigning Bathurst winner later labelled "fair and reasonable".